So should we, therefore, turn to policymaking-by-lottocracy? In ancient Athens, the birthplace of democracy, lottery-selection was used to choose political actors in three of its four major governmental institutions. Selection of political officials in late medieval and early renaissance Italy incorporated selection by lot. More recently, Citizens’ Assemblies (in which citizens were chosen at random to serve on the assembly, and in which citizens heard from experts prior to coming up with their own proposals) were used in the Netherlands to reform election law, and in Canada (in British Columbia and Ontario). Randomly chosen citizens were also brought into the process of constitutional reform in Iceland in 2010, but nothing of the scope that I am envisioning has been tried before. You can add to that list the recent development of the California Citizens Redistricting Commission, which was established in 2009 for the purpose of drawing the borders of legislative districts in the state of California. The commission is comprised of 14 members — five Democrats, five Republicans and four nonpartisan commissioners. An applicant review panel, itself randomly selected, narrows the pool of applicants to 60 (20 in each category). California’s state legislature leaders reduce the pool to 48 (12 in each category), and California’s state auditor randomly draws three Democrats, three Republicans and two nonpartisan members. Those eight select six additional commissioners from among the remaining applicants. It remains to be seen how well California’s new approach to redistricting will work. In the case of Canada’s electoral reform assemblies, voters ultimately rejected by referendum the recommendations of each of the Ontario assembly (mixed-member proportional representation) and the British Columbia assembly (single-transferable vote). 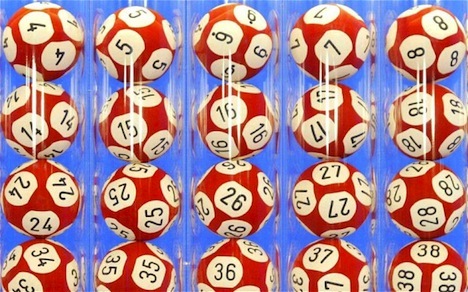 Democracy ultimately vetoed lottocracy. In the meanwhile, the Icelandic example also demonstrates just how tricky lottocracy would be in a system still dominated by electoral politics. The ‘crowdsourced constitution’ became a punchline, even in a homogenous country of just 300,000 people, which has a relatively strong civic tradition (Iceland’s parliament, the Alþingi, was founded in AD 930, making it the world’s oldest). Despite the recommendations of a panel of 25 Icelandic citizens and a six-question referendum, Iceland’s traditional political parties found ways to stymie the constitutional reform process, particularly after the center-right parties responsible for Iceland’s peculiarly spectacular financial crisis returned to power in April 2013. In some regards, we already have a model for lottocracy — the common-law concept of trial by jury. We use an essentially random pool of everyday citizens to pluck anywhere from six to 23 people to determine whether to pursue charges against a defendant in the criminal justice system and, once charged, whether the facts of the case prove that the defendant is guilty ‘beyond a reasonable doubt.’ Peremptory strikes and other limitations can skew the composition of juries, however, and criminal research shows that despite the best effort of jury instructions, jurors often can’t avoid bringing their own biases and prejudices to making life-and-death decisions. The only way for officials to ensure enforcement of the law was to obtain community support for the law, and the best way to obtain that support was to permit local communities to determine the substance of the law through legal institutions such as the jury. By the early 19th century, judges and a more organized legal profession started clawing back the power of juries in Massachusetts and throughout the United States. No longer would grand juries set policy and no longer would petit juries be responsible for findings of fact and findings of law, which would henceforth be left to judges and attorneys. Even today, we have an entire body of law on the rules of evidence, in part because we don’t quite trust juries. Moreover, sensational cases (e.g., the Trayvon Martin shooting, the subsequent murder trial and all-around media/opinion/cultural pile-up) and statistics on conviction rates for African-Americans reveal deep doubts about whether juries are truly representative on the basis of race, ethnicity, class, gender, age and other vectors. As Nelson explains, the lawmaking-by-jury phenomenon worked in New England only to the extent of a homogenous society with a shared (or coerced) set of values. Elements that worked in local legal systems in the Puritan 18th century Massachusetts soon faltered in state and federal legal systems in the more heterogeneous 19th century America. That might also explain why direct democracy has worked better in Switzerland, a country of eight million people of relatively homogenous ethnicity (if not language), than in California, a state of 38 million people with much more racial and ethnic diversity. Any 21st century sortition-based system would also face the same criticisms. Despite any safeguards designed to maximize participation (short of coercion), would the citizen assemblies ultimately skew toward the elderly? Toward the wealthy? Would citizens be better or worse at evading capture from industry players who chiefly have the expertise? Would a bureaucracy develop to ‘assist’ the citizen assemblies and, if so, what’s to stop it from maximizing its own institutional role and stealing the agenda from the actual citizens à la Sir Humphrey? Within a decade or two, researchers can examine experiments like the CCRC to determine whether handing power to a randomized citizen’s assembly results in better policy outcomes. In the meanwhile, there’s nothing to stop policymakers from engaging further experiments with sortition to assess and recommend policies. Given the growing political polarization that characterizes US electoral politics, sortition might even become a key to unlocking the increasingly dysfunctional channels of policymaking in Washington on the most pressing issues. If democracy (or lottery style) worked, then every corporation, company, and firm, would be run as a democracy. There are very good reasons involving differences in intelligence, knowledge, skills, time, etc which make democratic rule abysmal for all but a few small organizations. The simple existence of asymmetrical abilities to propagandize by one person (or group) versus another (one group has a larger megaphone or all the TV stations), makes the idea of democratic decision making absurd in almost all situations. Democracy (as practiced in the West) has been and continues to be a purposefully designed illusion to control the populations by giving them the sense that they are in control. Having this illusionary system hides the true ruling powers from the public eye; which allows the ruling class to face little opposition from the public or other centers of power (military, church, intellectuals, etc) even if the ruling class enacts civilizational destructive policies. In the Chinese system (and all overt ruler systems) it is nearly impossible to enact civilizational destructive policies without the use of extreme violence as the method of coercion. We in the West have had a ruling class which has enacted civilization destructive policies. I don’t know when it started and I don’t know exactly who these ruling class folks are/were, but the evidence of the policies is obvious today. The West has a fertility rate far below replacement level (policies caused this), the rulers’ solution is immigration from dissimilar races and cultures, which is without a doubt genocide of the host civilization. The high culture of the West (which contributed more to the world than any other civilization) has been replaced by sexualized degenerative pop culture (policy decisions did this). The positive character traits of Western civilization (honor, honesty, self-policing, hard work, humility, respect for nature, respect for children, respect for women, etc) have all been eroded by policy decisions of the ruling class. Chinese leadership (like many leaderships in Asia) are held by the populations to be the protectors of the civilization and the facilitators of the longevity of the civilization. Our democratic systems in the West have produced exactly the opposite result. Our civilization is in decline and most likely terminal with this corrosive system (and the ruling elite it invites) we are saddled with. To travel the great capitals of Europe and experience the marvels of Western civilization, and then to gaze upon the people in the street, you immediately know that something is terminally wrong.